Silat Walking, Shaking Hands & Running. This post is about Silat Walking, Shaking Hands & Running. I have already written several posts about Continuous movement and it is important to note that Silat Walking, Shaking Hands & Running like most Silat utilize continuous movement as a fighting tool. One of the things that set the Silat Walking, Shaking Hands & Running class apart from the other basic Clear’s Silat Phase I continuous motion classes is that the Silat Walking, Shaking Hands & Running styles are offensive in nature. Instead of evasive movement to lead the attacker(s) into a bad position the Walking style heads straight for the attacker to run them over. When performed correctly the aggressor will “feel” like they are about to be ran over. This requires the practitioner to let the arms swing fully and to stride forwards with an intent to overwhelm and go through the attacker. Not around or to them but through them without breaking stride. Walking style is a great technique to use against a stationary attacker who is blocking your path. 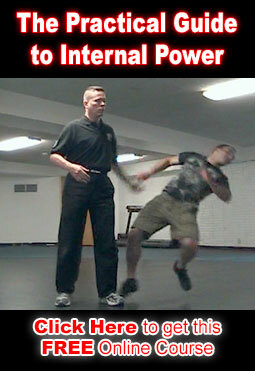 Shaking hands style is used against an attacker who is moving around a bit more but who is not yet scrimmaging or running. Running style is for an attacker who is scrimmaging or swinging with a lot of physical motion such as a boxer who is dancing around using a lot of footwork. The shaking hands style is a decoy art that is about timing. I extend my hand to the attacker as if to shake their hand while using walking style to go right up to them. If they so much as look at my extended hand then they will normally physically respond to late to protect themselves. It is a trick and timing is of the essence. If I extend my hand to soon then the attacker has time to see my hand and move, adjust or attack before I can reach them. If I extend my hand to late then the attacker will not see my hand and will move or attack.